Ungrateful young geeks, they don't appreciate the ridicule we went through so they could display their geek colours with pride! Why, when I was their age, I had to walk 20 miles to the nearest comic shop, through the... wait, I grew up in Georgia so there wasn't really snow... oh! Through the pine needles! Barefoot! Backwards! With a 50 pound bag of gristle! Why the gristle you ask? Because reasons. I get what you're saying. While part of me is happy to see that things are easier on these kids, I'm also kind of sad because I think being regarded as "outsiders" made us grow closer within our own community. We relied on one another more for support and befriended people we may not have under other circumstances. It didn't matter if you were rich or poor; pretty or ... not so pretty; black, white, purple, green, etc. ; when we were really in our element we were on a common ground where real world status, race or wealth didn't mean much. Being a geek made us better people because we learned about humility and equality. We learned about being proud of what makes you who you are, even when it's not something most people would be proud of. We learned that even though some of our peers might tell us we were weird and unacceptable, we weren't. 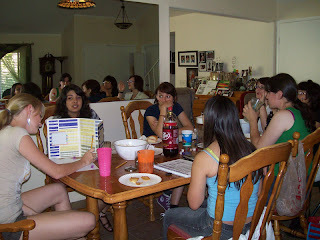 We were welcome and accepted into an amazing community because our dreams and imaginations meant we belonged. 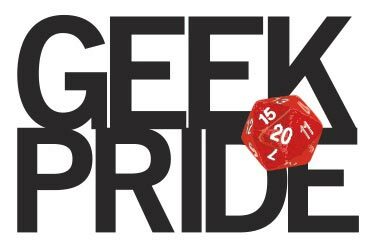 Now that the geek culture is reaching the point it can be considered mainstream and has become widely accepted, I think that the community is in danger of losing some of the factors that made it so amazing for us. It doesn't have to, but if we want to keep these aspects of our golden-days we have to remember them, uphold them, and preserve them.